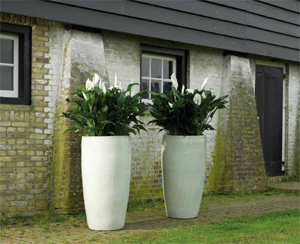 Ceramic Planters for Garden or Indoor use - Design Led Planters Ora Home Ltd. Ceramic is a unique material. This 100% natural product has been cherished for thousands of years for its decorative properties and durability. 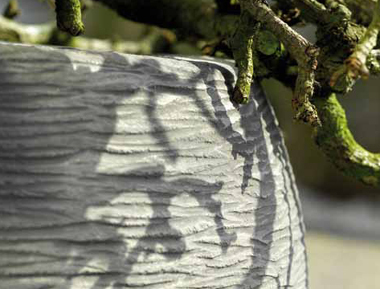 Our ceramic collection is also wonderfully functional when combined with quality greenery. 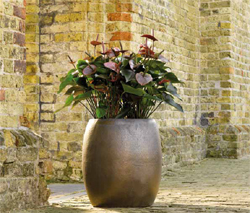 Subtle shifts of colour and a distinct surface structure give ceramic planters a magical quality. Identical is never entirely identical. And that is what makes them so unique and appealing. Ceramic is timeless, yet contemporary all the same, and perfect for any setting that requires a sense of ambience and style. Ceramic planters carry weight – literally. They are solid, strong and stable, yet equally as elegant. 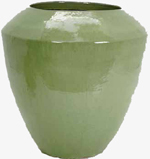 This makes a ceramic planter a valuable addition to a wide range of interior styles, as well as outdoor areas. 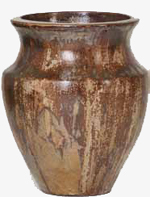 Whether adorning a crowded room or a spacious atrium, a ceramic planter flourishes in any environment. Unique Designs and Traditional Production Methods. 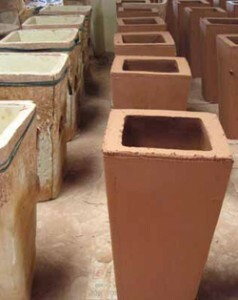 The pots are fired in wood-fired ovens, sometimes deep in the ground. When fired, the glazes take on the most beautiful colours and structures. The positioning within the oven, firewood used, and climate all result in subtle variations in the shrinkage and colour of the end product. We have over 60 products in our Ceramic Planters range.